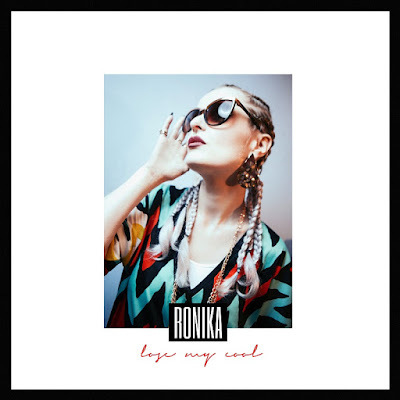 Nottingham-born singer, producer and multi-instrumentalist Ronika has premiered the video for new single Lose My Cool, the title track from her critically-acclaimed second record (which is also available now). Co-produced with L-Vis 1990, the simmering, TLC-inspired swing of Lose My Cool describes an attempt to navigate the mountains of the phone-world using only Emojis as a compass, which plays out in the song’s self-directed, sun-kissed video, which you can check out below. The significance of Lose My Cool as an album, though, is ultimately one of self-respect; it’s those possibilities which open up when you choose to look, dance or work without being defined by others’ expectations. Wider in scope yet also distinctly back-to-your-roots in flavour, the widely-celebrated Lose My Cool follows a wandering groove from disco into hip-hop, R&B, and luxurious modern pop: from Michael Jackson, Jam & Lewis and Mariah Carey through to The Internet, Cashmere Cat or Pharrell (and their shared-spaces of funk, gospel, and soulful jams). My favourite songs are Principle, Lose My Cool, Superfine, and Trouble. Stream it below!